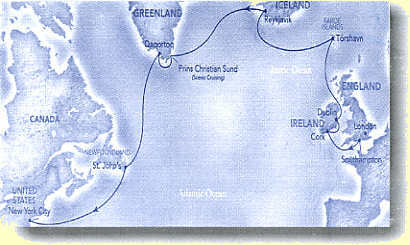 After eating, drinking, and shopping in Portsmouth, we are ready to attempt an Atlantic crossing. Hey, this looks just like the last boarding. 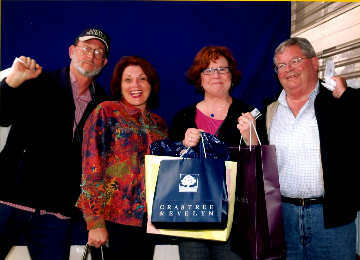 Hum, eating, drinking, shopping...well, what do you know! Now this is the way to watch a cricket match. 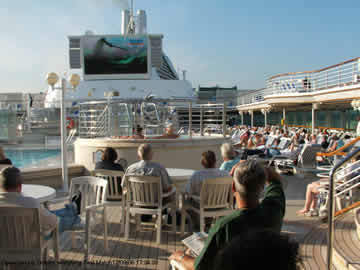 England defeated Australia in 'The Ashes' tournament and we got to sit on deck and watch it on a really giant screen. 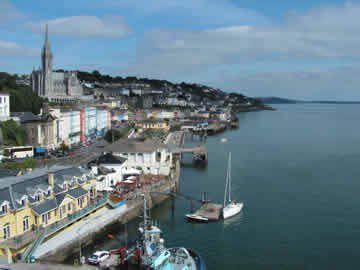 Our first stop was Cork, Ireland and the ship docked at Cobh, a really beautiful place - as you can see. 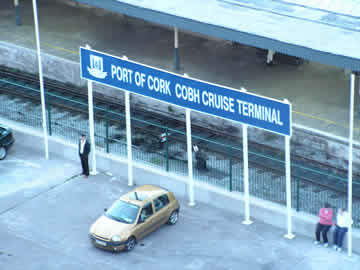 We took a train into Cork. From there the girls shopped and Harry and I went to a local pub, sampled the brew - we saved the Guinness for Dublin - and watched the Irish Hurling championship game. It was Cork vs Galway and everyone was really 'buzzed'. Hurling is incredibly fast, high scoring, and relatively easy to learn for the beginning spectator. 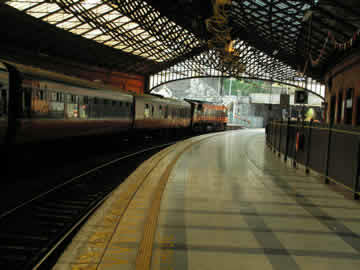 The train station where we arrived from Cobh. 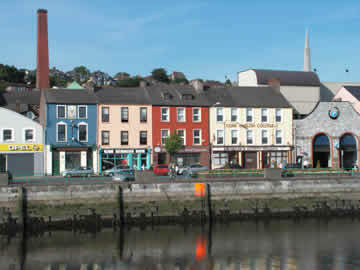 These buildings along the river are representative of Cork. The shops, of course, look much more modern. Arriving in Dublin we could see a rainbow in the harbor - can you spot it? 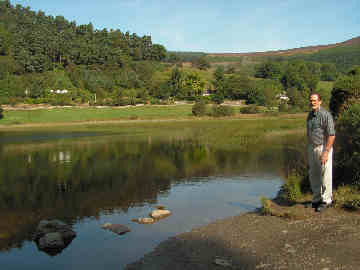 Patty and I had spent a week driving around Dublin and western Ireland about 10 years ago so we decided to visit the southeastern part of the Dublin countryside. 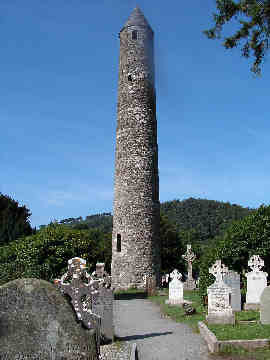 We took a tour through Wicklow Hills to a monastery at Glendalough. 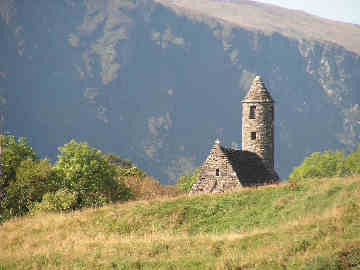 Western Ireland countryside is dominated by hand-build stone walls everywhere, but the eastern part is quite different. Climbing the hill overlooking the village, one of the first things you see is the church. As you crest the hill the village appears below. 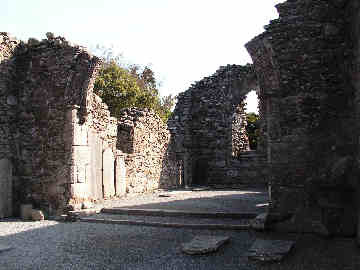 Remains of the 10th century monastery and accompanying tower that is part of the town and cemetery. 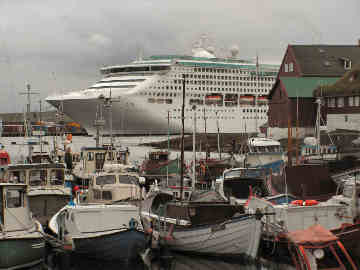 Arriving in Torshavn, in the Faroe Islands (between Scotland and Iceland), you can see a good size comparison between the town of 15,000 and the Sea Princess. 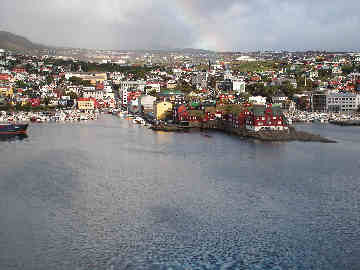 Torshavn is the smallest European capital and people are well spread out over the 13 islands that make up the country. There are tunnels up to 6km long under the sea connecting different islands. 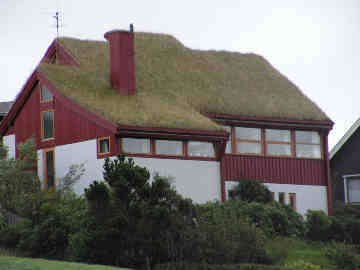 In northern climates grass roofs provide very good insulation properties - and the sheep and goats can keep them cut. 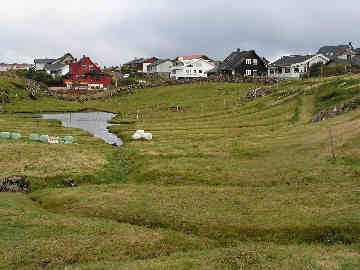 Even in suburbia the Faroe Islands have a beautiful rural feel. Iceland is a unique country. 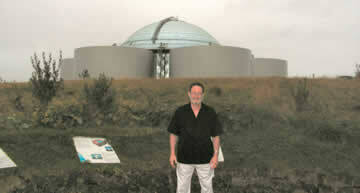 Energy is plentiful because it is almost entirely geothermal (see the picture of Patty below). 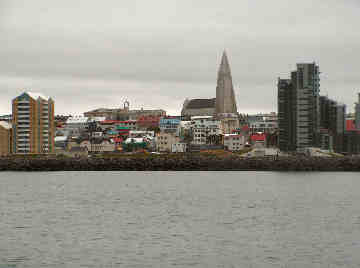 The island sits directly over the border between the American and European continental plates. 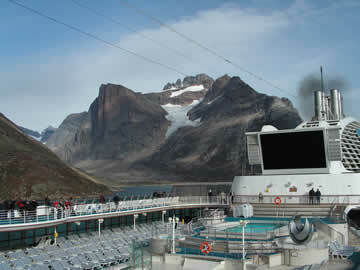 This means there is a lot of volcanic activity and many, many hot springs. They do not use natural gas or oil, except when they need combustion engines. 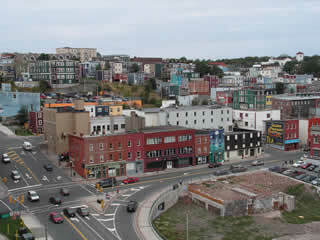 Much of the country has been developed since WWII, meaning that most buildings are modern. 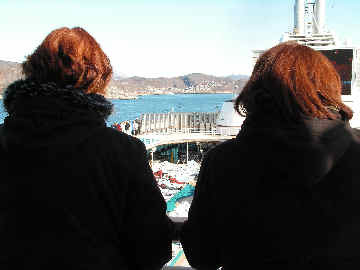 Colors, like other Scandinavian countries, are bright and pastels are not very popular. Weather can change by the hour and during our day there the weather continually deteriorated until it was fairly wet and cold when we left. As it started to sprinkle Patty sensibly put up the hood on the new jacket she purchased in Dublin. Craig, however, decided to 'brave it out' and later caught a cold. 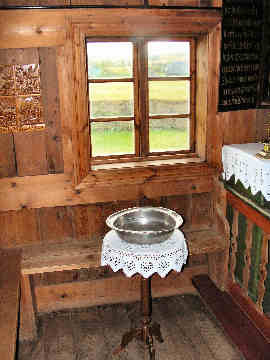 This church is part of an outdoor museum illustrating Icelandic building history. 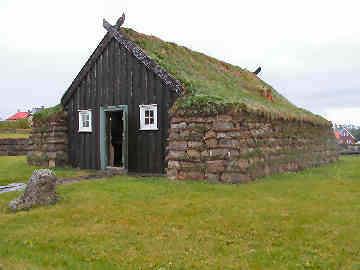 Note the traditional grass roof and the thick walls. They were pretty good at insulating things back then. 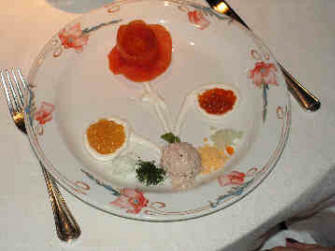 Eating dinner at the Steak House onboard. 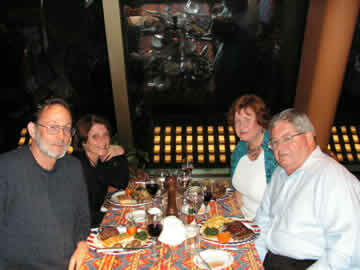 Harry and Ellen enjoy their meat, but Patty and Craig have been vegetarians. Well...lobster and steak probably won't kill us, and this is a vacation, after all. 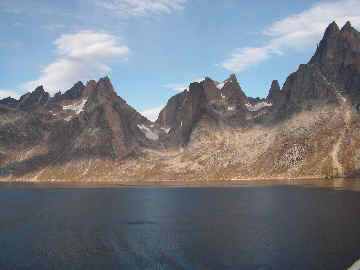 Greenland is a place most of us will never see, therefore many people were on deck to catch the first sight of this forbidding place. 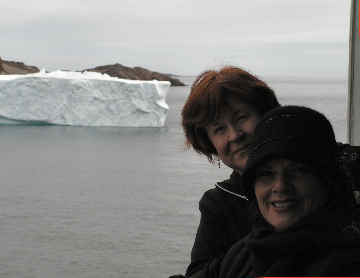 Ellen and Patty didn't want to get too far from the cabin, but they did want to see icebergs. The cabin balcony turned out to be the perfect place to watch. 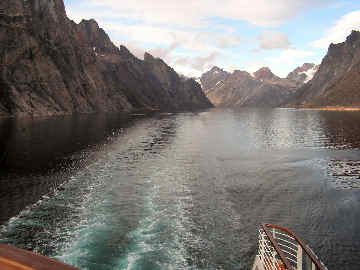 One of the most spectacular scenes was cruising the Prins Christian Sund in southern Greenland. 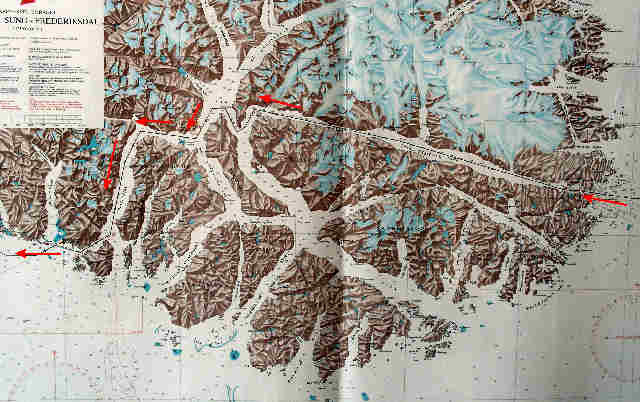 The red arrows mark our path through the Sund. 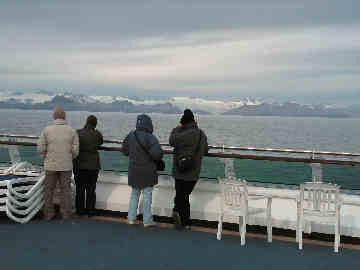 Tony and Beryl took this picture of the Prins Christian Sund. 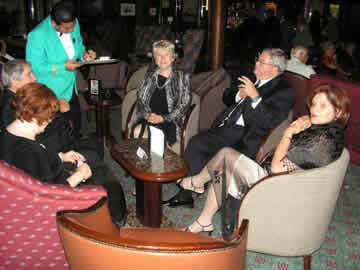 Ellen, Patty, Beryl, Tony, Craig on deck sailing through the Sund. It got kind of cold. 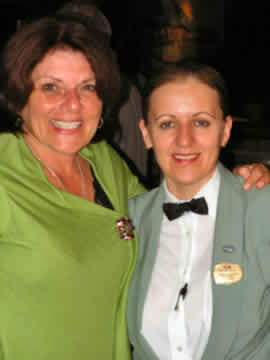 We have lots of pictures of this part of the trip. These could go in a Princess advertisement for cruising. The sun, the colors, the clouds - everything is crystal clear in these waters. Notice how the clouds partially block out the sun. This place is unexpectedly pretty. 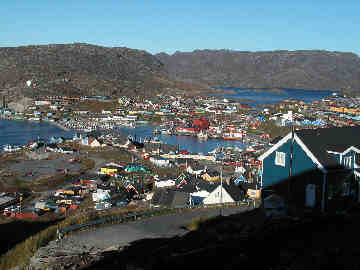 In Greenland this town of 3500 is known as the banana coast, because it is so warm and has so much greenery. 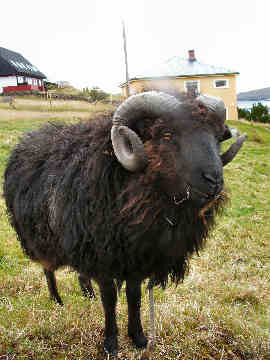 Remember, this is Greenlanders talking (Inuit and Danes) - so don't take what they say too literally. 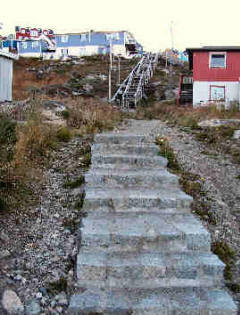 This sidewalk is a common shortcut up the hillside. 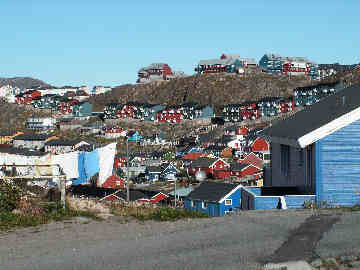 While the severe weather means there are a lot of rough edges to things in Greenland, the houses are a profusion of bright, happy colors. 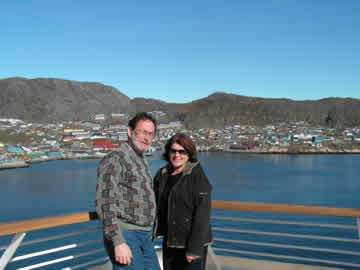 Craig and Patty saying goodbye to Qaqortoq. 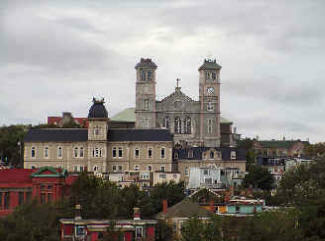 It is interesting that it is often the unexpected, unknown destinations that we remember for the longest time. 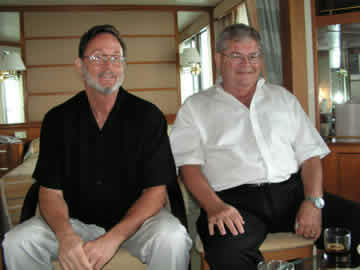 Craig and Harry enjoying some time in the cabin while crossing the Labrador Sea. 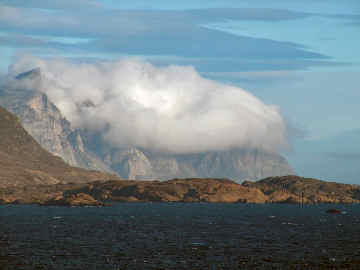 There was some fairly rough water during the 1 1/2 days we traveled from Greenland to St. Johns, Newfoundland. 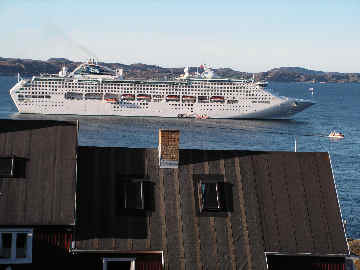 The Sea Princess is especially stable in heavy weather. 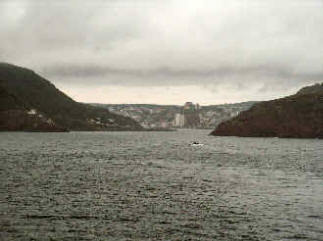 Approaching St Johns you can barely see the pilot boat bringing the pilot to command the ship into the port. 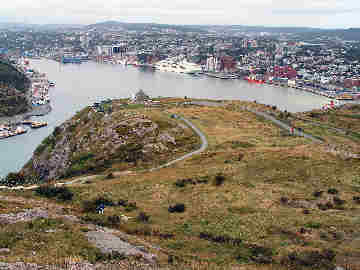 The entrance to St. Johns is on the left, with the main part of town shown from Signal Hill, where Marconi first received radio signals from Europe. 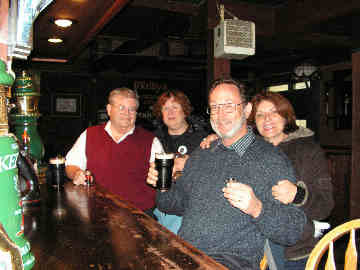 Nearing the end of our vacation, we all decided to visit another local pub to get a shot and a beer. The local 'white light'n' is called 'Screech' and the cab driver recommended O'Reilly's - a fine suggestion. It was powerful stuff. Thank goodness for the Guinness to wash it down. 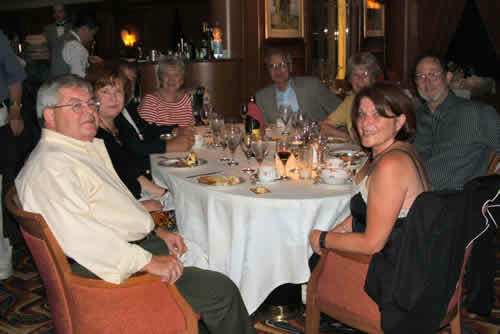 The full compliment of cruise buddies got together for one last dinner. 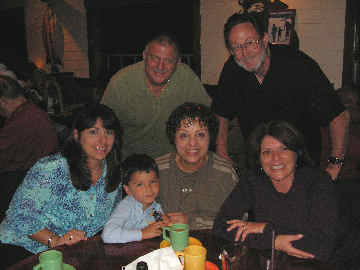 Patty's good friend Lisa met us in New York and we visited with her family. 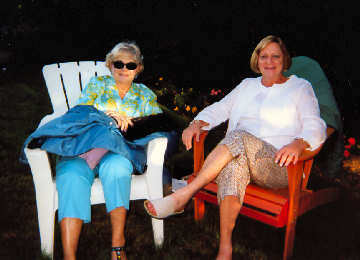 Craig drove up to New Hampshire and visited a cousin Phillis he had never before met. 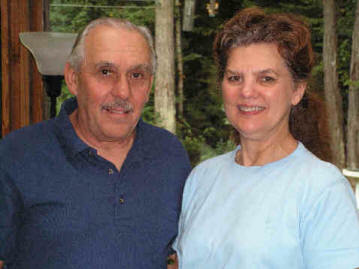 She and her husband Joe are pictured here. 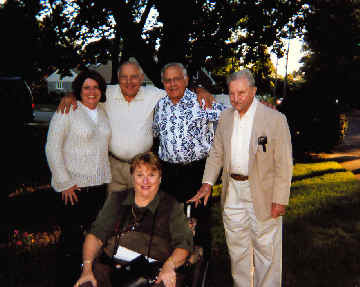 One afternoon Patty and Craig met with some of her relatives at her great uncle Frank's house. He is 91 in this picture and a great help with our family tree. The flight home was blessedly uneventful and it is time to relax until the next trip. 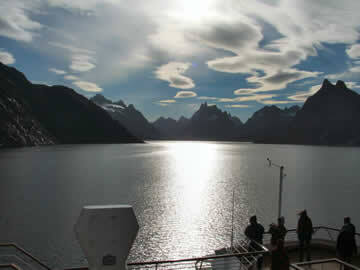 If you want to return to the cruise along the Western European coast, click here.